Figure 1:: Score-P profile viewed in Cube. Left: Shows the performance metrics. 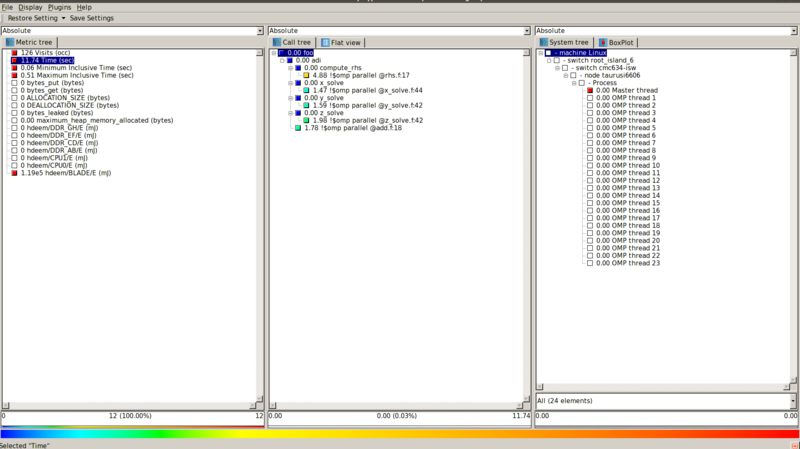 Middle: Shows the call tree. Right: Shows how the processes/threads are distributed across the physical CPUs. The Score-P measurement infrastructure is a highly scalable and easy-to-use tool suite for profiling, event tracing, and online analysis of HPC applications. Score-P offers the user a maximum of convenience by supporting a number of analysis tools. Currently, it works with Periscope, Scalasca, Vampir, and Tau and is open for other tools. Usually, Score-P is used for post-mortem performance analysis. With the extensions developed in the READEX project, it can now be extended for online analysis. We use its instrumentation for online and post-mortem energy efficiency tuning in the context of READEX. Score-P is available under the New BSD Open Source license. Intel compiler version 2017.2.174/2018.1.163 or GCC (G++ and GFortran) version 6.3.0/7.1.0. 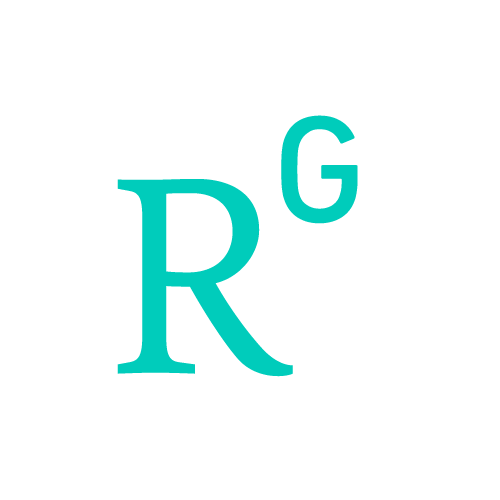 Other Intel or GCC compiler versions can also be used, but have not been explicitly tested by the READEX developers. Note: Other Intel or GCC compiler should also work, but they were not explicitely tested. For more details on installing Score-P, refer to Section 2.1 in [https://silc.zih.tu-dresden.de/scorep-current.pdf]. As said, we use Score-P for instrumentation. We distinguish in Phase instrumentation and Region instrumentation for Score-P. Please refer to (TODO) for details. While the Phase instrumentation is manual, region instrumentation can be manual or automatic. We perform the following steps with Score-P.
CC='scorep gcc' , MPICC='scorep mpicc' and so on. There are some things that come with Score-P that might introduce problems. The Score-P user guide and the mailing list can help. Afterwards, you can run your program as before. Doing so will create a performance profile (that you can analyze with Cube). However, with the Periscope package (TODO link), you also install an auto-filter script, which you can apply to the profile. The script is able to write GNU and Intel filter files. For GNU Compilers, pass the argument --instrument-filter=<filter_file> to Score-P, for Intel, pass it directly to the compiler: FFLAGS="-tcollect-filter <filter_file>. You might be wanting to re-filter afterwards. (Again create a profile, a filer, and re-compile). Recompile afterwards and add the --user flag to Score-P. (Do not forget the filter file). Run the application, which will create another profile, which can be analyzed with readex-dyn-detect, which is part of the READEX Periscope package. In the next step, re-compile the application and enable online-access. Usually this is done by using the Score-P flag --online-access , for example, scorep --online-access --user --nomemory mpif90 instead of mpif90. Do not forget to add the filter file here. The following things need to be set-up for Score-P to work with DTA. After you analyzed the program using Periscope and got a tuning model, you can re-compile it to lower some overhead due to supporting Periscope. just skip the --online-access flag from the compilation before.